Just finished this layout for the Template Challenge at Mouse Scrappers. 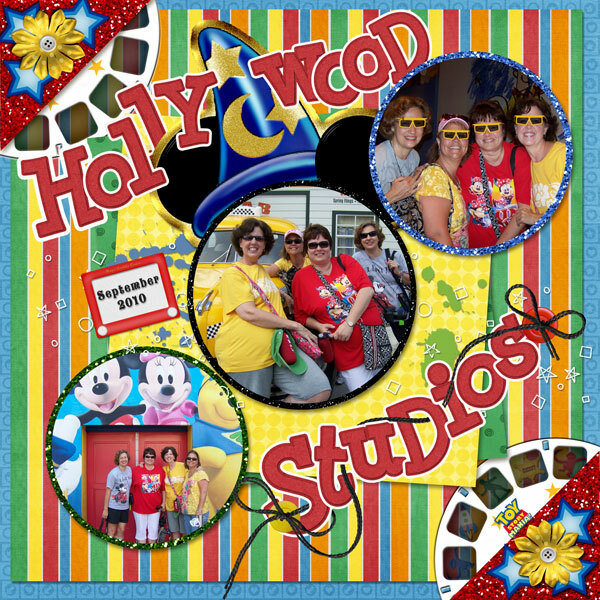 This is from my last trip with the girls to Disney for the SDV. I used several kits for this: "Street Smarts" by Connie Prince and Chelle's Creations, "Vibrant Memories" by Pri Rocha Designs, "You've Got a Friend" and "Dream, Wish, Believe" by MandaBean, "Hollywood Vacation" by Kellybell Designs, and the glitter is "Styles Collection 2" by Dream's Pieces. I did this fun layout for the Weekly Challenge at Mouse Scrappers. These are pictures of the gingerbread house at the Grand Flordian Resort in Disney World. I absolutely love visiting this resort during the holidays. They have live Christmas music, the most beautiful decorations and the biggest Gingerbread House you will ever see. 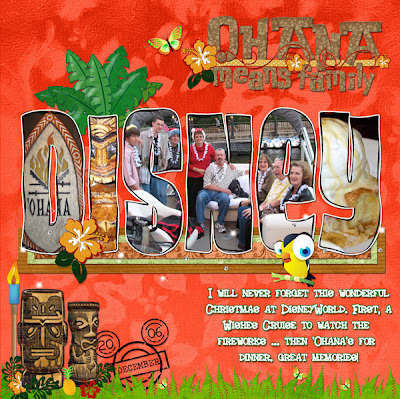 I used Cindy's Layered Templates #67 by Cindy Schneider, "Made with Love, For the Holidays" by Heather Roselli & MandaBean, Ginger Hearts by Lettering Delights, and the most awesome Disney Masks Vol. 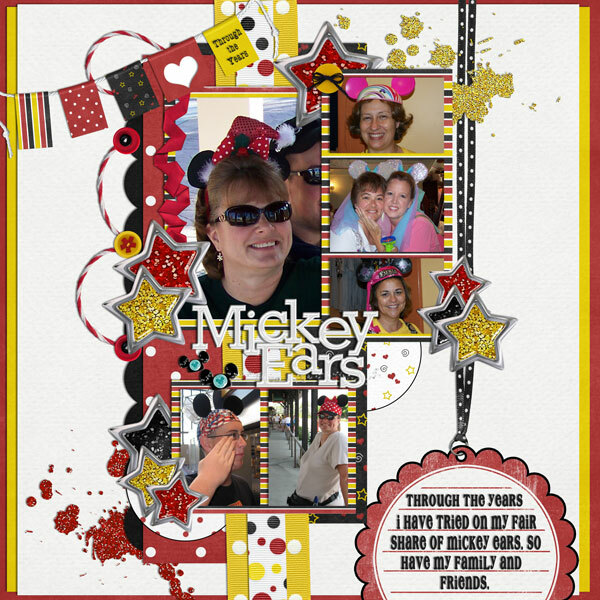 1 Mickey Heads by agrievingmommy. 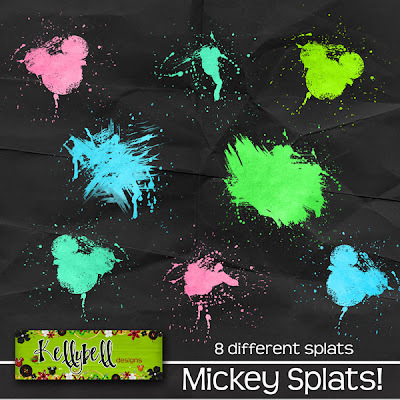 Go on over to MouseScrappers.com and check out Weekly Challenge #62. 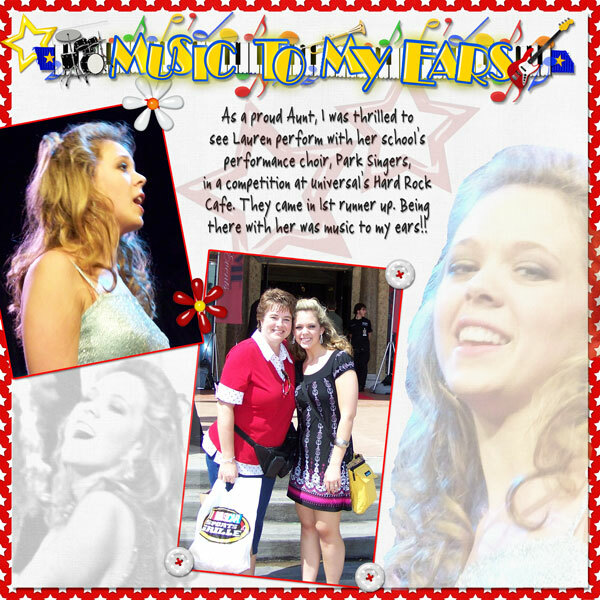 Denise has some fantastic freebies and a super cute participation prize! 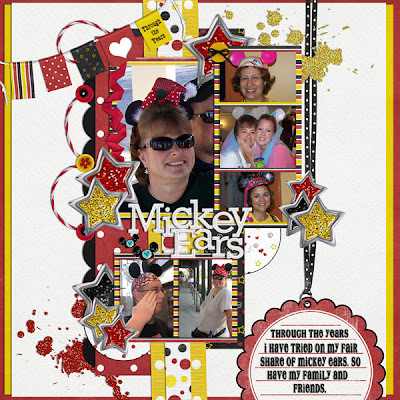 I did this layout for Mouse Scrappers template challenge. 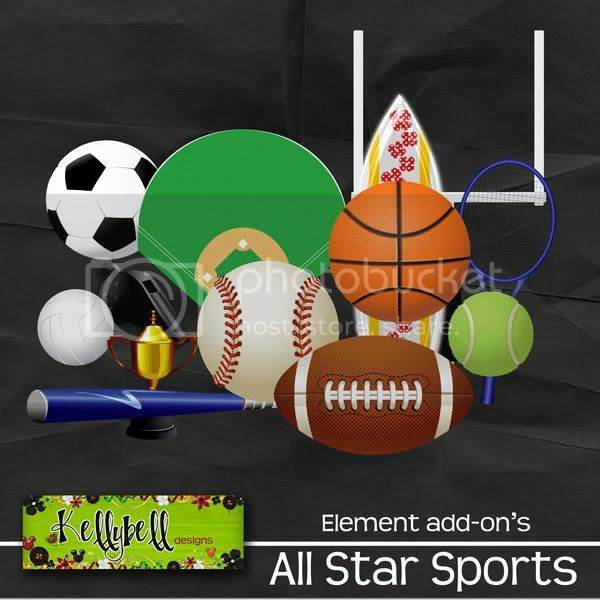 I used Kellybell Designs' new All Star Resorts kit with the All Star Sports Add-On and Alpha. 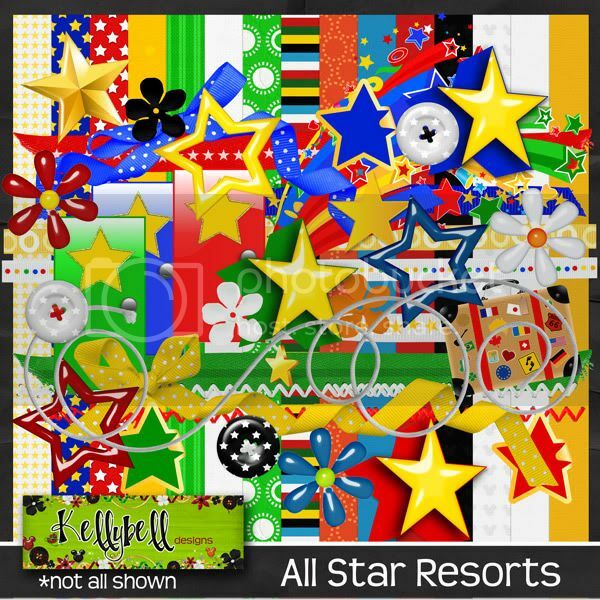 Here is the BIG All Star Resorts Release & Kellybell Designs' EXCITING NEWS!! 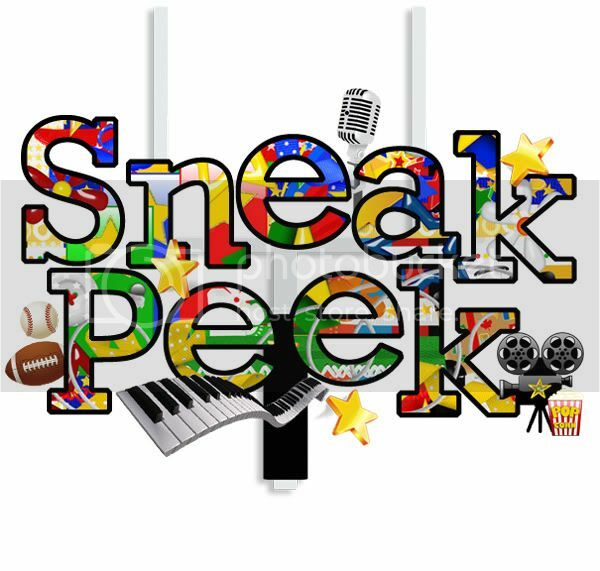 Today Kellybell Designs has a really big new kit to release and it is also the day when Kelly can fully reveal her amazing and new endeavor! Kellybell Designs' very own dot com store!!!! First let me show you the new kit! 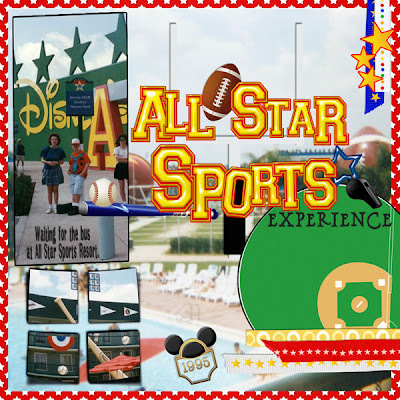 It is a regular kit for the All Star Resorts with 3 separate add-on's for each of the separate themed All Star Resorts! 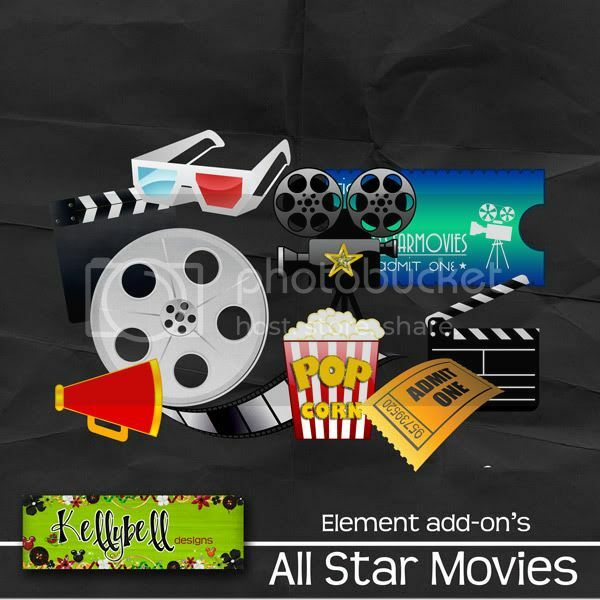 One for Movies, Music and Sports! And to top it off Kelly also made coordinating Alphas for each themed kit as well! Check these out! Here are the layouts I did with this fantastic kit, add-ons, and alphas. Be sure to visit each one of Kelly's CT member's blogs because they have special gifts for you. It will be totally worth the click! 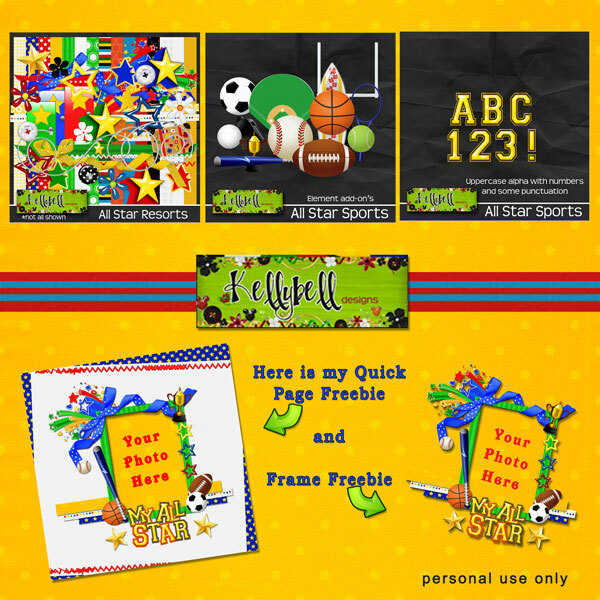 Since this is my last week as Guest Designer I wanted to give you some extra freebies. There are a total of four so be sure to get each one! I hope you enjoy them! I have had a blast this month!! Image is linked to my new store! This is the new home of all of Kelly's products. She will be disabling her blog store so make sure to save this site to your favorites! And head over there today as she will be celebrating this new store with a huge sale. Every single product will be on sale for 50% off for 1 day only! Kelly has been keeping a little secret, but unfortunately you will have to wait until Friday for the full reveal!!!! 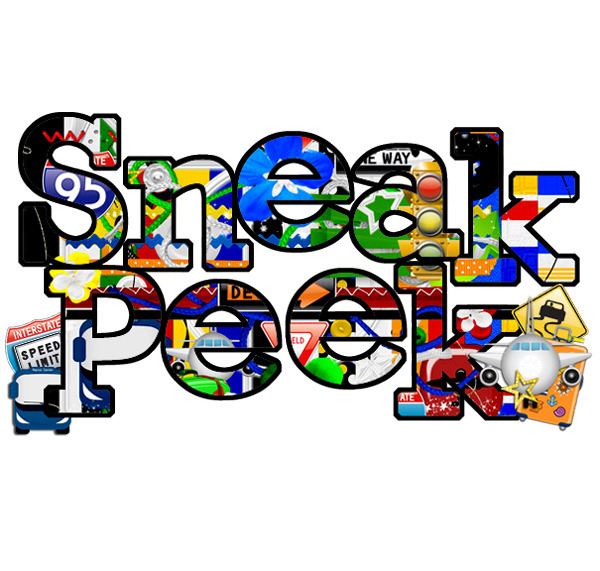 I will give you a little peek at what's coming on Friday. Kellybell Designs has a new kit and is having a HUGE sale to celebrate the re-opening of her very own dot com store!!! What this means for you is instant downloads no waiting for emails from her to recieve your download links! And it will free her up to design even more new and exciting stuff!!!! 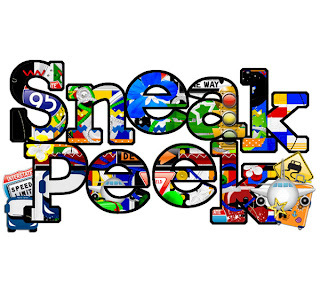 And here is the little sneak peek at the kit that she is releasing on Friday! so please come back on Friday to see the full reveal of the new store and take advantage of the great deals. If there was anything on your wish list Friday is the day to pick it up!! My sister-in-law bought the cutest sign for me when she visited Gruene lately. I've seen the t-shirts with the hobby of golfing and hunting for the husband and the wife was second choice. Well, this is the first I've seen where it is reversed AND it is for scrapbooking! Now, I have got to say that I am married to the bestest guy in the world! Yea, he's more better than scrapbooking, but even he got a huge kick out of the sign. 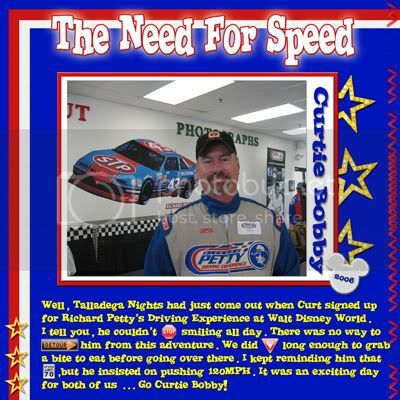 While it is hanging in my scrap room he still knows he ranks higher since it is only him that I ask how a certain layout looks and he usually has great feedback and ideas! Like I said ... he's the most bestest AWESOME man ... but this sign is stinkin' cute, right? 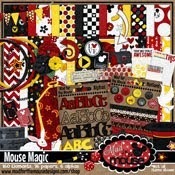 I did this layout for a Weekly Challenge at Mouse Scrappers. This is from our character breakfast at Crystal Palace. 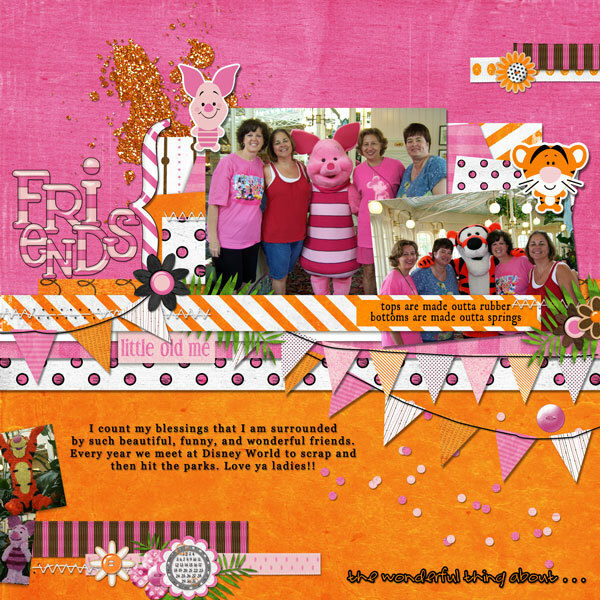 I used Scrap By Numbers:Call Me Bree Template by Stolen Moments, "Bouncy" by Britt-ish Designs, "Sweet" by Britt-ish Designs, "Friendly Freebie" by Britt-ish Designs, and "The Gangs All Here" by Britt-ish Designs. 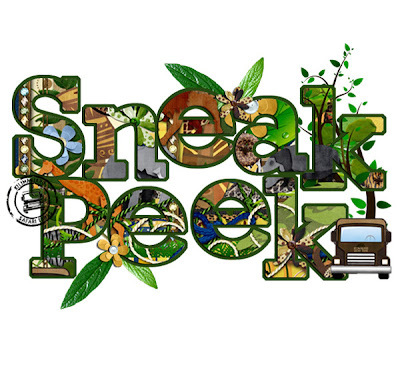 Grab your camera and hop on the jeep, we're heading deep into the jungle on an African adventure! 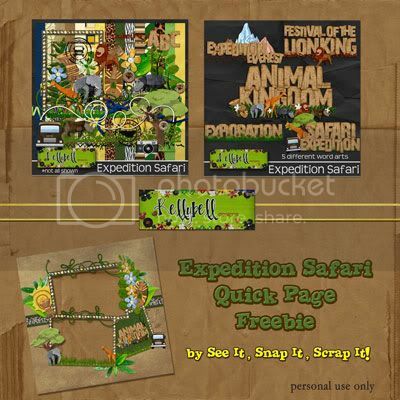 Today, Kellybell Designs announces an amazing kit called 'Expedition Safari'. 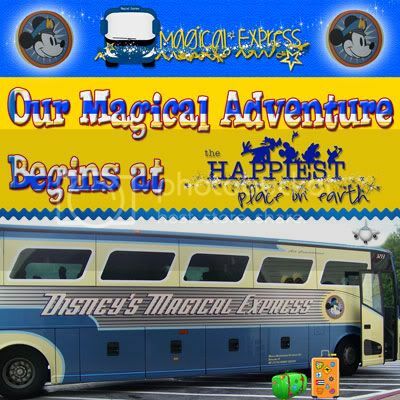 It's just perfect for scrapping all your adventures at Animal Kingdom, at the zoo or just some fun in the forest. 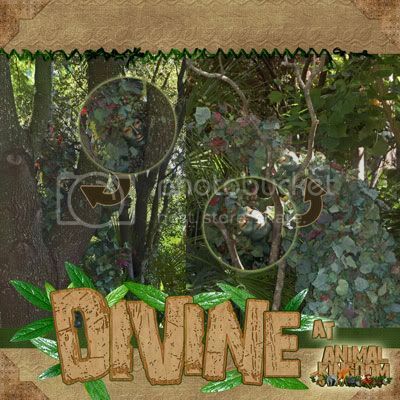 This kit is packed with lots of jungle treasures including animal prints, 5 safari animals, tropical leaves, African art, 3 stamps and so much more. Plus, there's a fabulous brown cardboard alpha for creating that just-right title for your page. 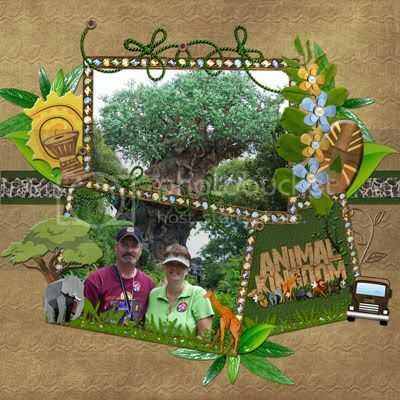 Kelly has also created a coordinating word art pack of 5 great titles from Animal Kingdom. 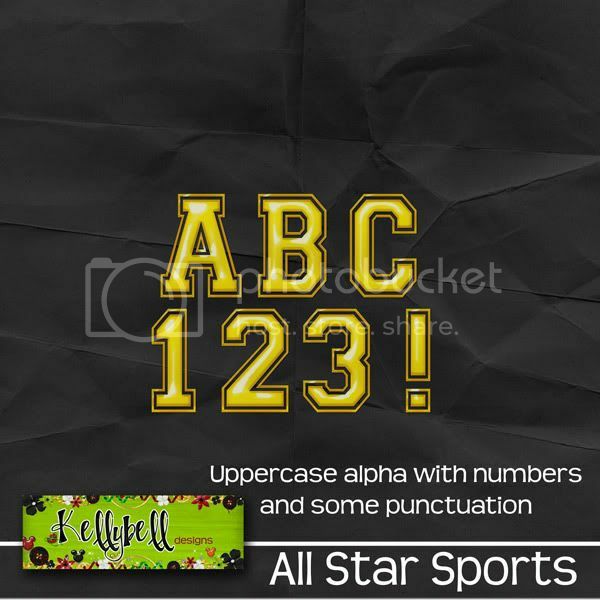 This kit is a must-have for your collection, so hurry over to Kellybell's store and pick up this fabulous kit and word art. It's on sale only for this weekend - 35% off!! 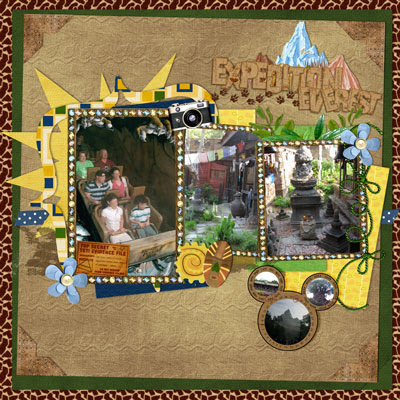 This "Expedition Everest" layout was for Template Challenge #38 at MouseScrappers.com. Kellybell's Creative Team always has some wonderful goodies for you with each new kit from Kelly. Make sure you stop by each blog to check out the layouts they made for some great inspiration and scrapping ideas with this kit. 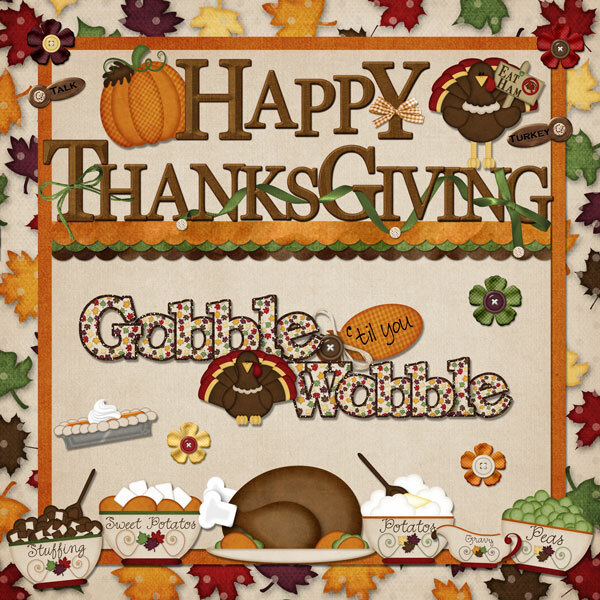 Plus grab all the fabulous freebies they made for you. Now, here's the freebie I made for you. 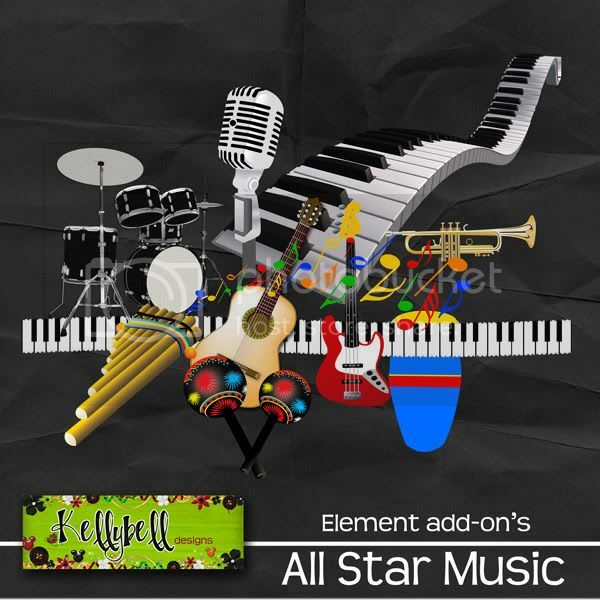 Just click the preview to download. Enjoy! 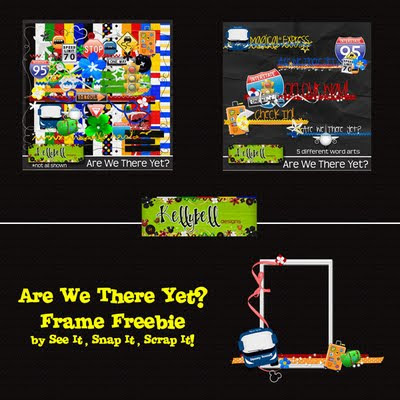 What a fun Weekly Challenge Roxana has posted at MouseScrappers. Here is my layout for this challenge. 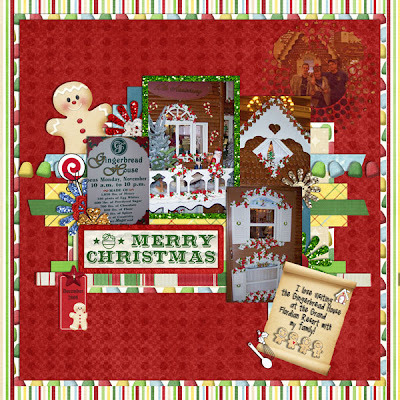 I used Cindy's Layered Template Freebie #2 by Cindy Schneider, "Happy" kit from Chelle's Creations, and "Shop Til Ya Drop" freebie by Kellybell Designs. 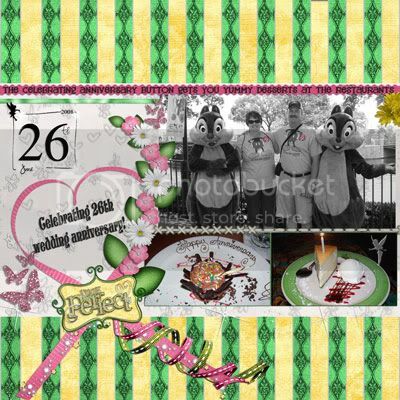 This beautiful kit is perfect for all of your magical Disney moments…meeting Tink and her friends in Pixie Hollow, and those photopass pictures where Tink magically appears! It has been in her Kellybell’s store for awhile... but Kelly and all of us on her Creative Team have been trying to show off some of these OLDER kits on Fridays, when there is not a NEW release! 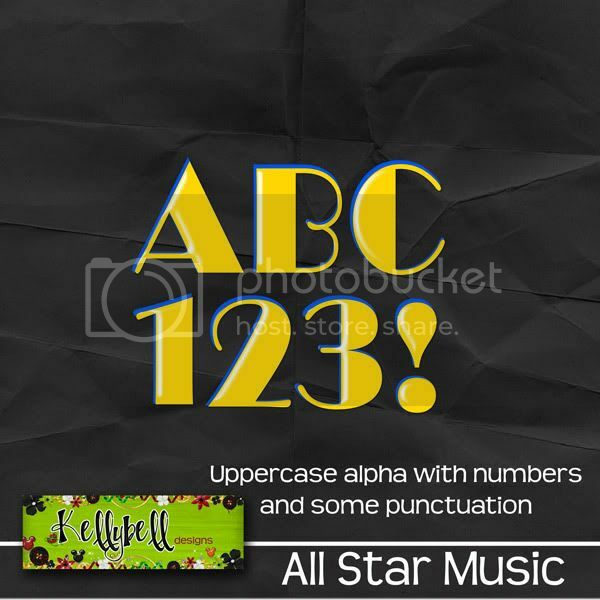 Keep reading…Kellybell’s CT always creates amazing freebies that you will want to download! The best part…this kit will be 50 % off for ONE week, so you have until Nov.19th to pick it up at this price, so don’t wait! 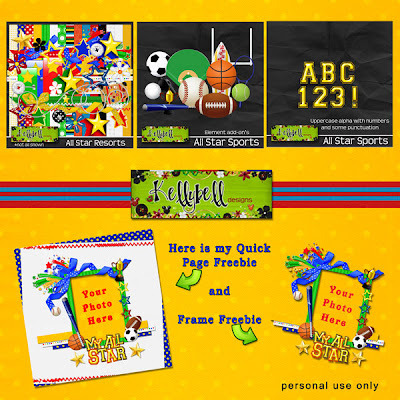 And be sure to check out the entire team's freebies they made especially for you. Make sure you let them know how much you love them! as a thanks for stopping by. So fly to Kellybell Designs and pick up Flitterific today! This weeks template is awesome! 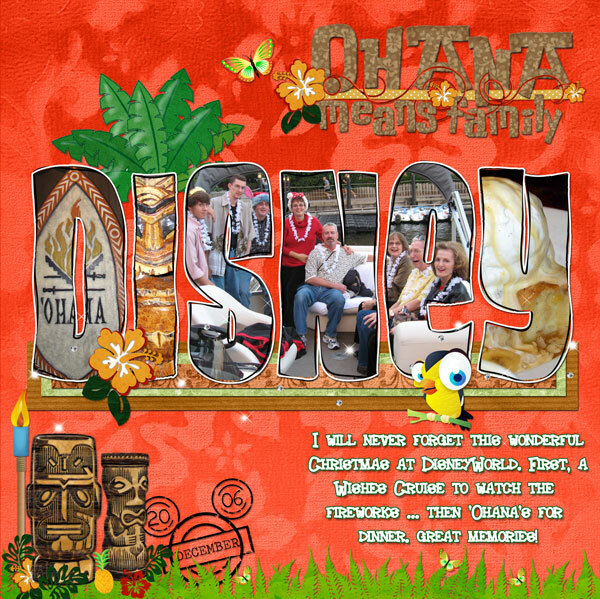 I used "Polynesian Paradise" kit, "Polynesian Paradise Word Art", and "Simple Dates Vol. 2" by Kellybell Designs. I loved this template so much that I already put together another layout. 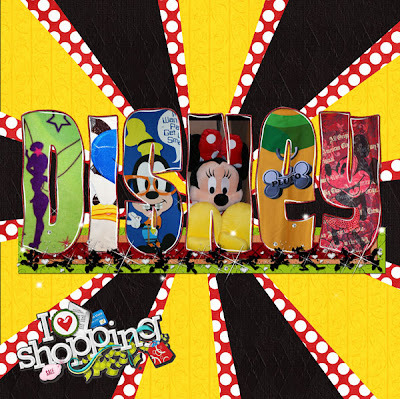 This one uses "Colorful Kingdom", "Shop Til Ya Drop", and "I Love That Mouse" all by Kellybell Designs, and "Shop Til Ya Drop Freebie" by Designed by Roxana. This is such a fun template ... thanks for dropping by! "Are We There Yet?" Kit from Kellybell Designs. 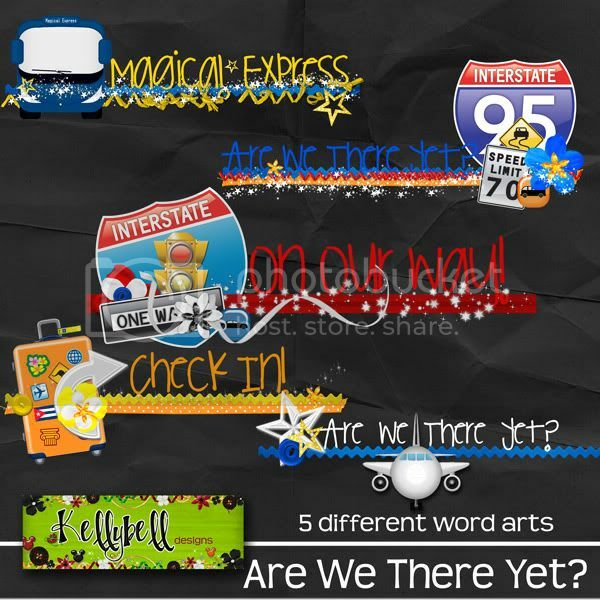 Who's ready for a road trip with Kellybell Designs? 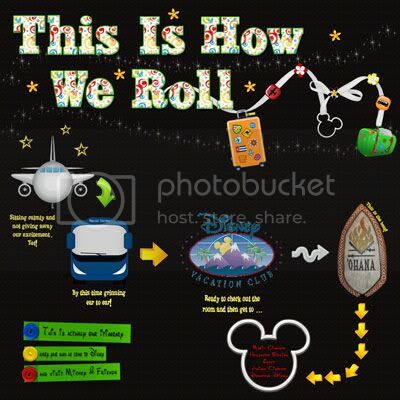 Her new kit is all about getting to our favorite place, Disney!!! 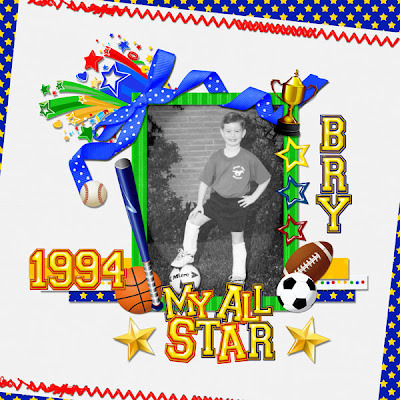 This bright, vibrant, primary colors kit is so versatile, you'll find yourself reaching for it again and again. Need the perfect kit for Magical Express pictures, or Test Track, Indy Speedway, Richard Petty Driving Experience, a bus ride, your road trip, or even your teenager's first driving experience- well, look no further! Here it is!!! 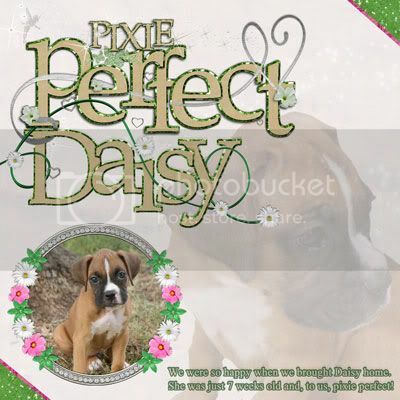 And you can purchase the word art separately to add that little something extra to your layouts. Get it while it's on sale. It's 35% off only for the weekend!!! Better snag it now! Check out what the Creative Team made with it. Here are my Layouts. And here's my freebie for you ... just click the image to download. 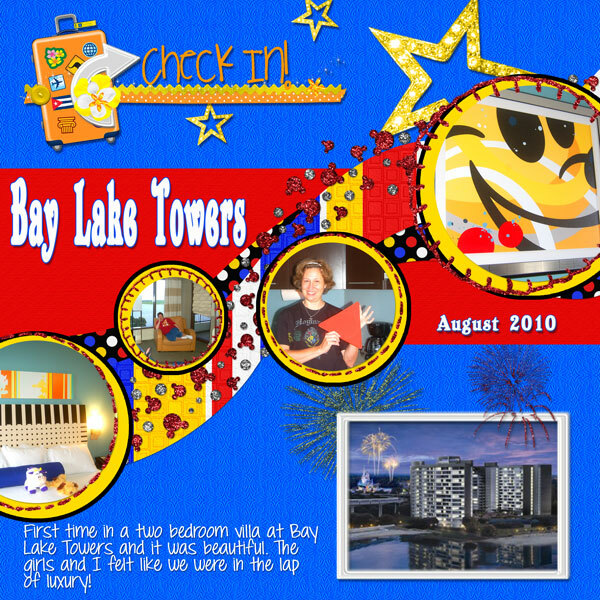 These are a couple of layouts I did for the template challenges at Mouse Scrappers. 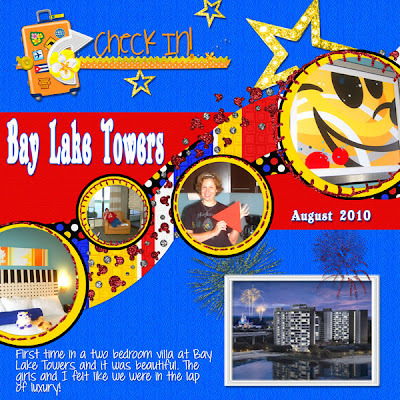 I just love staying at Bay Lake Towers when at Disney and this was a fun layout to do. 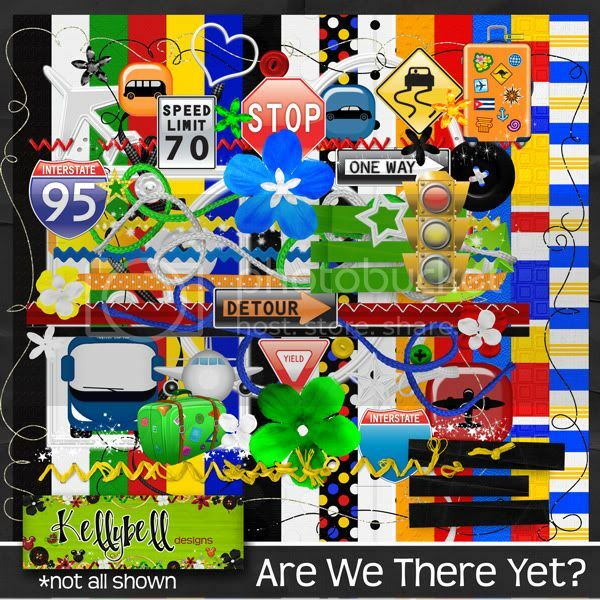 I used a new kit "Are We There Yet?" 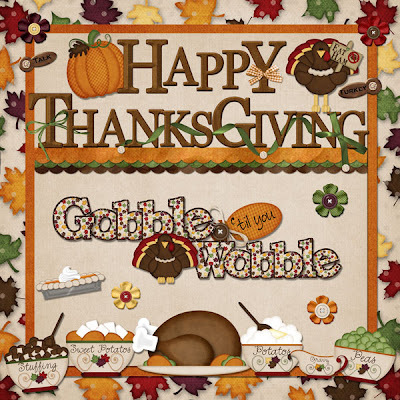 by Kellybell Designs. This kit comes out tomorrow so drop by again tomorrow and check it out. I knew just what pictures I wanted to use when I saw this template. 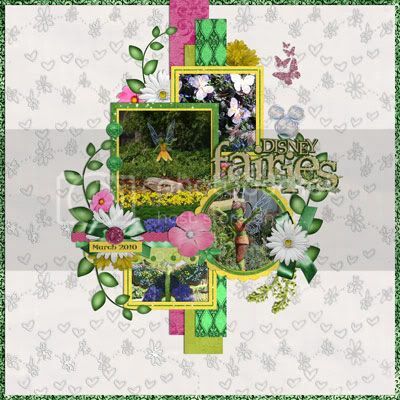 I used "Inspired by Cindy" and "Flitterific Kit" by Kellybell Designs. 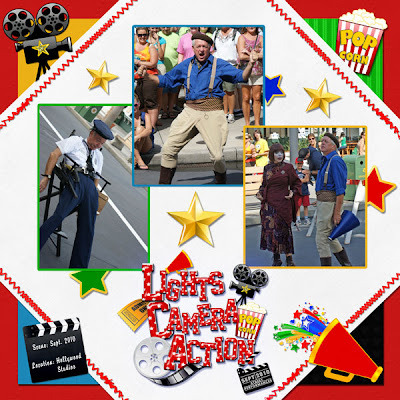 These pictures were taken in August at the Dream Come True parade in Magic Kingdom. We had a fantastic spot to enjoy this parade and just take pictures. Thanks for dropping by and come back tomorrow to check out Kelly's new kit. Who Loves to Speed Scrap??? I do, I do! 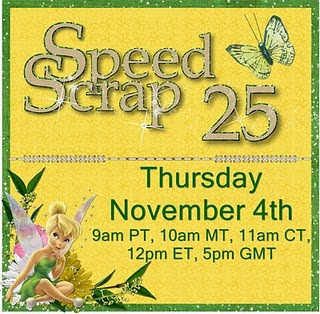 Come join me at MouseScrappers for a super fun Speed Scrap hosted by Paula! The participation prize below is provided by Kellybell Designs and I can't wait to get my hands on it! I hope I see you there on Thursday and thanks Paula for hosting this!! OMGosh! 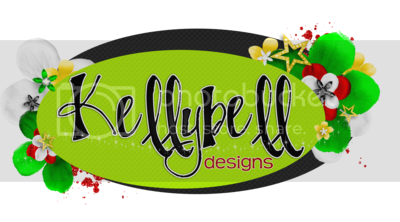 I am a guest designer for Kellybell Designs for the month of November. I have been shaking since Kelly sent me the email yesterday! As most of you know, I started digital scrapping almost a year ago and fell in love with it. 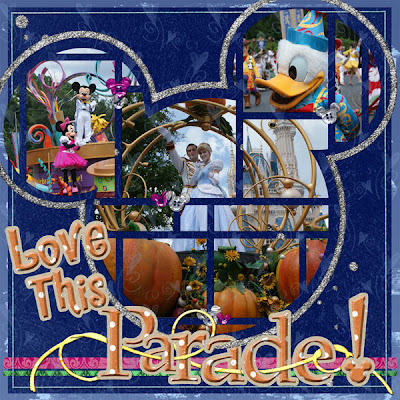 My favorite thing to scrap lately is DISNEY! Well, that is what lead me to Kellybell Designs. If you are interested in Disney digital scrapbooking then you have GOT to check her out! Shoot, it doesn't even have to be Disney ... her kits will work with so many ideas and events you have going on in your life! Can you tell I'm excited! Keep your eyes posted to my blog for further goodies ... thanks for dropping by!